Posted in: Andy Shrimpton Driving Test Passes, Driving Lesson Windsor, Learner Drivers Passing Test. 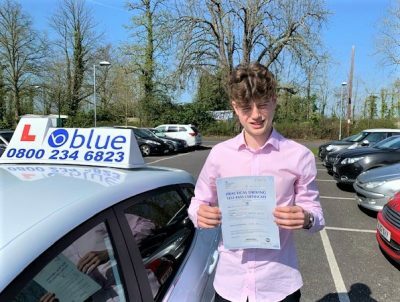 A big well done to Louis Maggs of Windsor, Berkshire. 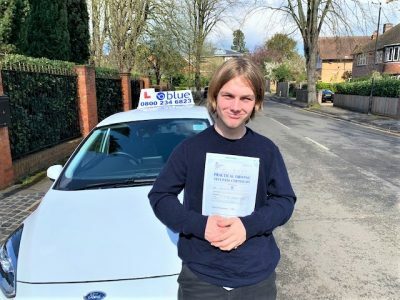 Louis passed his driving test in Slough, Berkshire this morning on his first attempt and with just a couple of driving faults. The test included a lot of traffic and a right hand reverse. 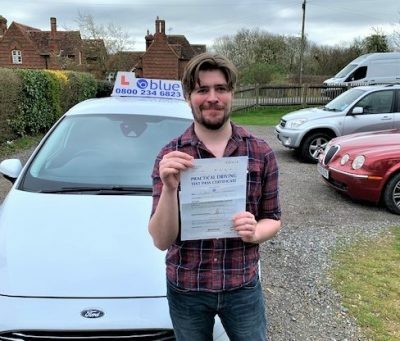 All the best from Andy Shrimpton your driving instructor and all the team at Blue. 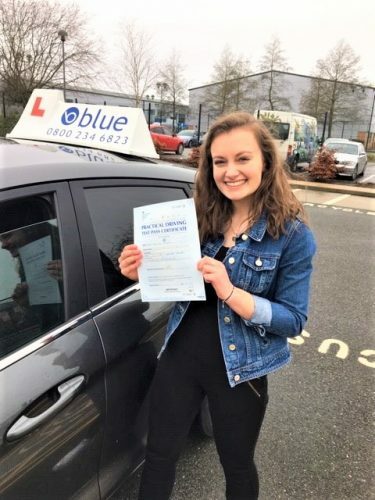 It is recommended that prior to taking your test you should have had 40 hours in-car tuition with a qualified driving instructor and then another 25-30 hours practice with friends or family. 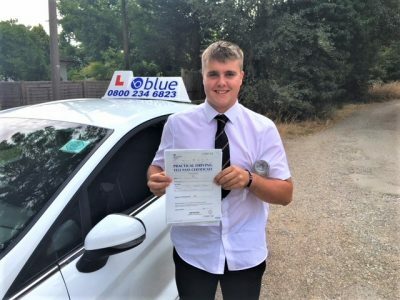 These tips are provided in conjunction with Blue School of Motoring – a driving school that gets results for learner drivers. Being a safe driver with good hazard perception skills means being able to use speed correctly, keeping the correct distance between yourself and other road users, scanning the road effectively, anticipating and planning for potential hazards. All these skills can be taught effectively. 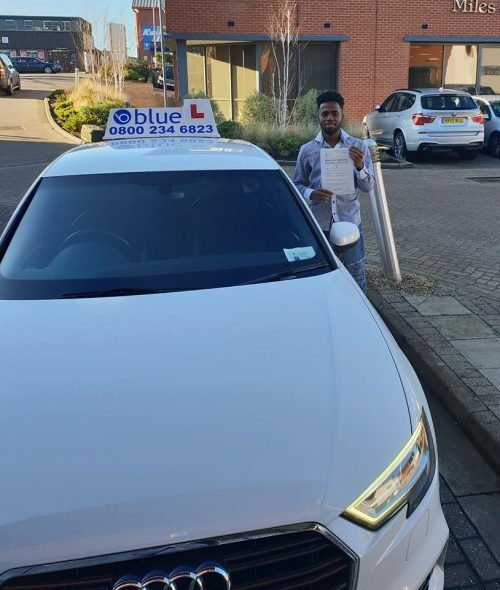 You should prepare with a ‘Blue’ professional instructor as part of a structured programme of on-road tuition, covering the recommended driving syllabus. 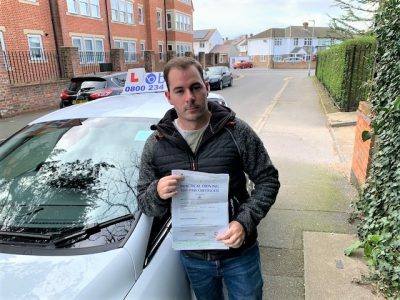 Good luck with your driver training programme, and don’t forget if you need any help, just ask. We also cover areas such as Windsor, Windsor, Windsor, Wexham, Datchet, and Cippenham.